Spain has long been a vacation and second-home destination for Europeans. With its many seaside locations, relatively low cost of living, and plentiful sunshine, it makes a wonderful place to retire or to live part-time. So, it’s no wonder that North Americans are now retiring and buying homes there, as well. You’ll have plenty of places to choose from, too. 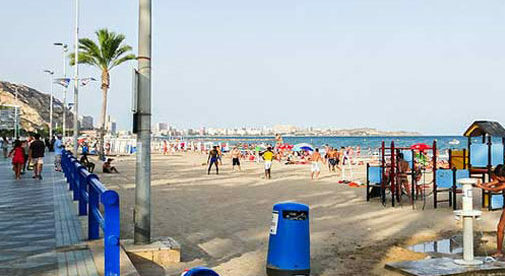 But two areas that have been popular with expats for decades are the Costa del Sol and the Costa Blanca. The Costa del Sol is roughly a 100-mile stretch on Spain’s southern Mediterranean coast. Here you’ll find everything from small, scenic former fishing villages like Nerja to high-end resorts like Marbella and Puerto Banús. And anchoring it all is Málaga, a city of half a million people and an international airport. With a climate much like that of Southern California, the Costa del Sol gets up to 300 days of sunshine a year. The Old Port Chapel, Malaga. The Costa Blanca, on Spain’s eastern Mediterranean coast, runs between the cities of Valencia and Alicante, and is dotted with small coastal villages. With international airports in both Valencia and Alicante, as well as big-city amenities like shopping, museums, and concert halls, this region offers something for everyone. And neither area has to cost you a fortune. 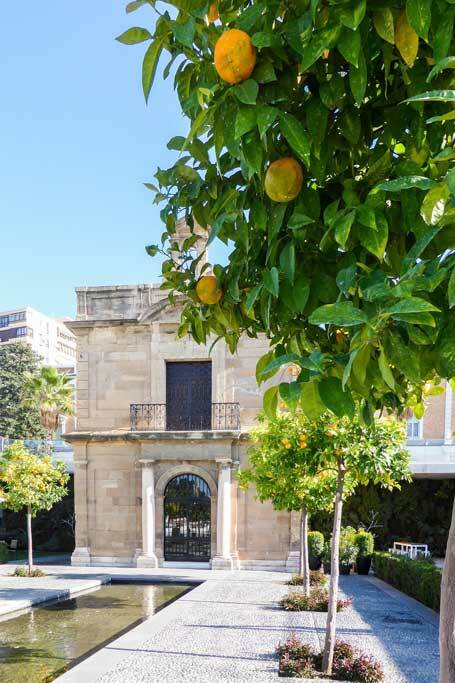 If the Costa del Sol appeals to you, right now in Málaga, in an upscale neighborhood close to the historic center, a three-bedroom, 850-square-foot apartment is for sale. With a dining room, terrace, and completely equipped kitchen, it’s near all services. The asking price is $141,450. If you prefer small-town life, the white village of Mijas is a charmer. And in Mijas’s historic center, the ground-floor apartment of a house is for sale. With three bedrooms, one bathroom, and a terrace in 1,098 square feet of space, it’s on offer for just $105,780. 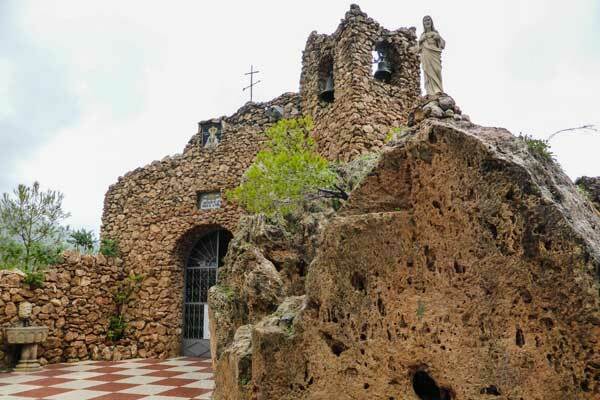 Santuario de la Virgen de la Peňa—a little shrine built into a small cave in Mijas. Alicante, on the Costa Blanca, manages to be both a major beach resort and a genuinely Spanish city…and one of the best bargains around. You can walk to urban beaches like El Postiguet…and yet a 10-minute stroll inland takes you to modern, comfortable Spanish neighborhoods. In one of these, near all shopping, is a three-bedroom, one-bathroom apartment with a balcony in 785-square-feet of space. It’s selling for just $86,100. Buying a property in Spain can be straightforward, provided you do your due diligence. Spain’s legal system and property-buying process are somewhat different than that in the U.S. or Canada. So first make sure that you have a good, reliable local expert in your corner: someone who speaks the language and understands the legal system. Your expert can make sure that the seller provides you with documents showing that all taxes and utilities, HOA fees, and the like are all paid and up to date, and that there are no liens on the property. You’ll also want to check with the public registry office to make sure that the seller owns the property and has the right to sell it. Once you’ve done your due diligence, you and the seller usually enter into a private contract, or pre-agreement, that sets out the terms of the sale. You’ll make a down payment at this time. If you’re getting a mortgage to pay for the property, the bank will then want an appraisal done by a trained architect. Even if you’re paying cash, you may want to have an architect appraise the property anyway to check its structural integrity. The next step will be signing the contract, paying the sale price (less the initial payment), and getting the keys to your new Spanish property. A Spanish notary—who is a specially trained lawyer and government official—must certify the property transfer, so the closing usually takes place in a notary’s office. After the closing, the notary files your sales contract with the property registry office, where your property will be registered. But realistically, once you’ve paid for the property and gotten the keys, you can move in and enjoy your new home in the Spanish sun.